This is a sci-fi/horror movie that is like no other. The story has real depth - not just gory stuff for the sake of gore. Underneath the screams and horrors, there is a sad love story. I still remember when I first watched The Fly, I felt very sympathetic for Jeff Goldblum's character. 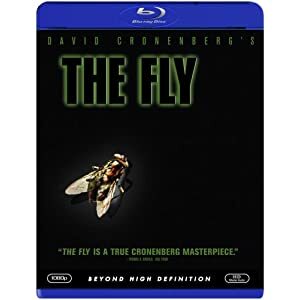 A highly intelligent scientist accidentally turns himself into a fly when he tries to impress a girl with his latest invention. This makes things a little complicated for the scientist and soon everything gets out of hand. Will he be able to get back to his old body again?